The nominations have been tallied for the 13th annual Syracuse New Times Syracuse Area Live Theater (SALT) Awards, which honor performances and behind-the-scenes work by area professional, regional and community theater companies. The SALT winners will be announced during a ceremony to be held Sunday, Nov. 5, 6:30 p.m., at Syracuse Stage’s Archbold Theater, 820 E. Genesee St. The show’s presenting sponsor is Empower Federal Credit Union. 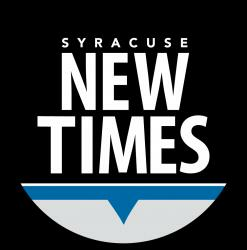 This year’s co-hosts will be WSYR-Channel 9’s Bridge Street personality Sistina Giordano and state Sen. John DeFrancisco. Cocktails and light fare will be available. Discounted pre-sale tickets are available for $20 until Saturday, Nov. 4, midnight. Tickets at the door will be $25. Visit cnytix.com/events/salt-awards to purchase tickets and like the SALT Awards on Facebook for regular event updates.